This extra-powerful mains energiser shines in situations with extreme vegetation, game protection areas, defence against wild boars and long fences. We have 35 years experience in the electric fence business and know how important it is to use a reliable energiser. That's why we sell exclusively high-quality branded devices made in Germany – by VOSS.farming. Naturally all our energisers fulfil the stringent European safety standard EN60335. Because we're convinced of the quality, reliability and safety or our devices, we're happy to offer you a 3-year warranty on all our energisers. If you should still have any problems or questions, our professional workshop and our advice team will be happy to help you. 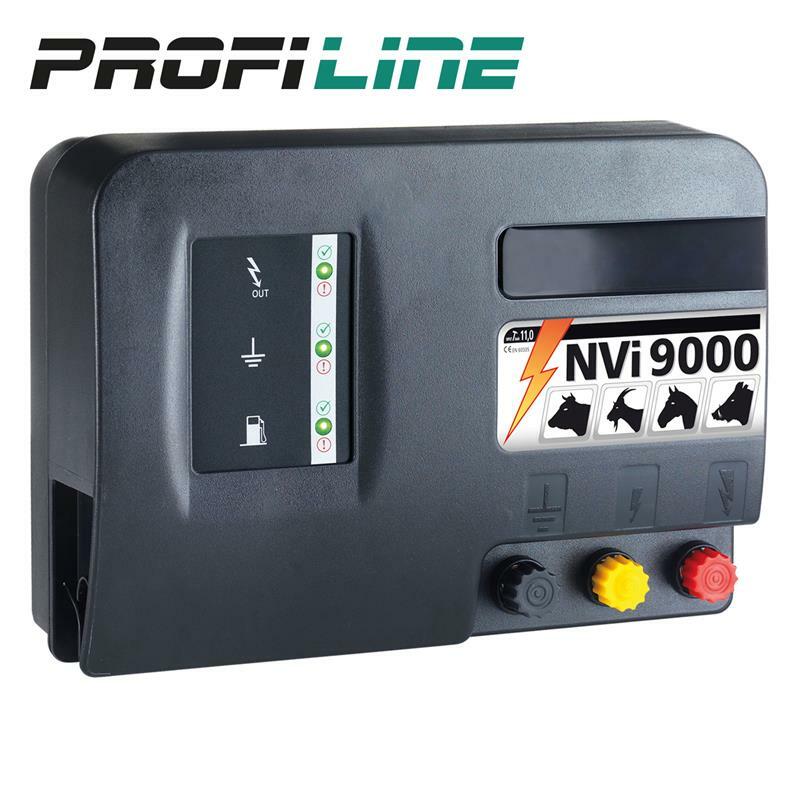 The shock strength of 11,200 volts together with the shock power of 11.0 joules make it clear why the "NVi 9000 earns the title "Powerhouse". This is especially impressive for long fences and in cases with heavy vegetation, because even in these situations you can rely on the safety of this fence energiser. The recommended fence length is 70 km without vegetation growth ,but this shockingly powerful energiser will also master fence conductors up to 230 km in length without any trouble, in ideal conditions. 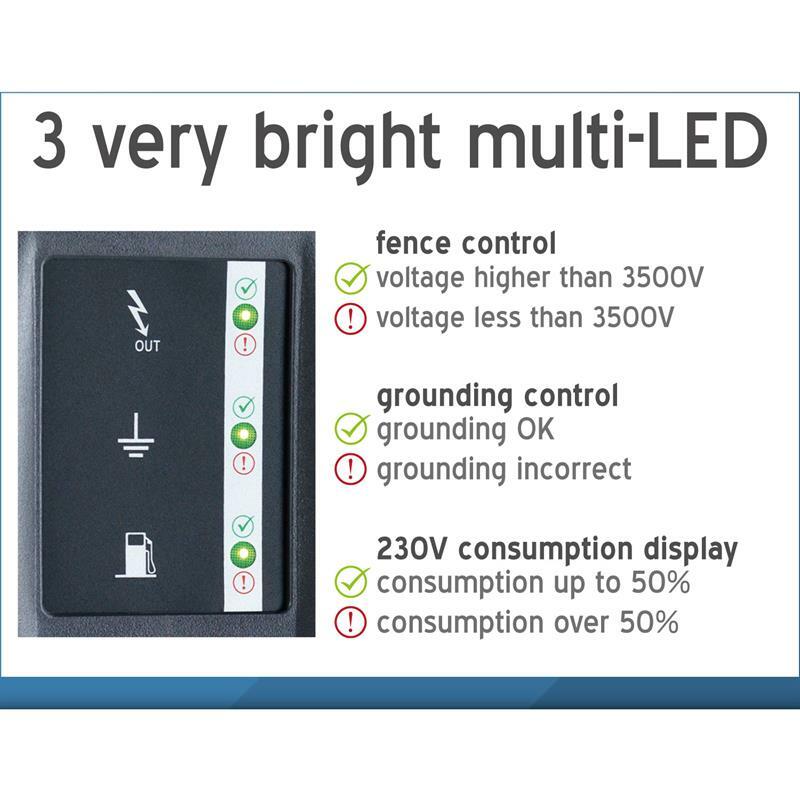 The 230 Volt mains energiser is equipped with three very bright multi LED displays that will show you the fence condition, the grounding and the consumption. It has an alarm function which immediately becomes audible if an animal or person is in constant contact with the fence. 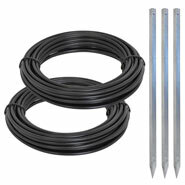 This facilitates not only continual, reliable monitoring of your electric fence, but also serves to protect your animals. In case of constant contact, the energiser will slow its pulse sequence, which will protect the animal from severe harm but will successfully prevent it from breaking out. 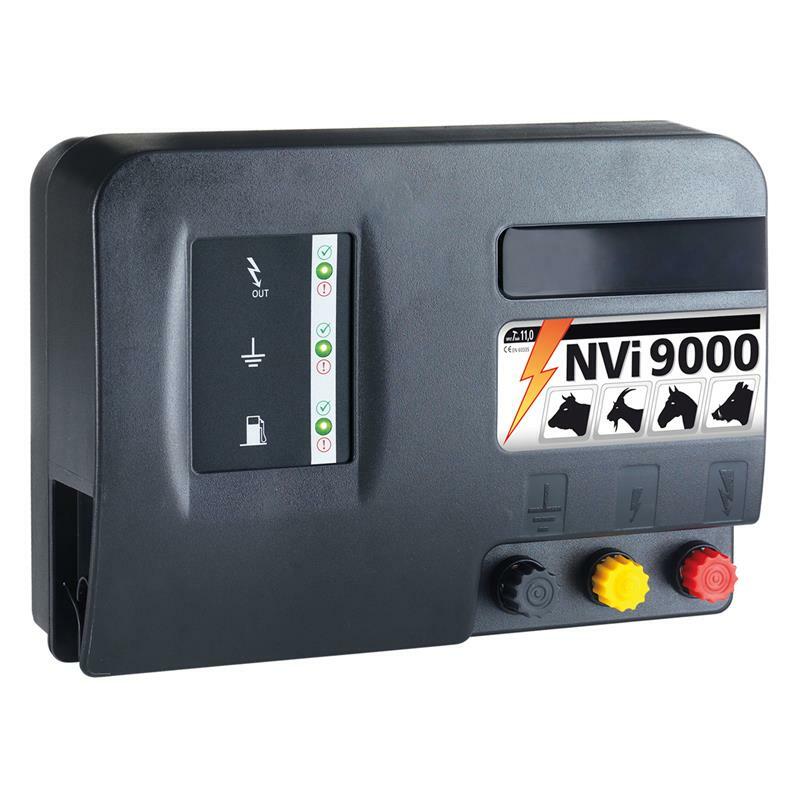 The smart thing about the VOSS.farming "NVi 9000" is that you can attach two separate fence systems to the energiser at the same time and therefore supply them both with the individually required fence voltage. 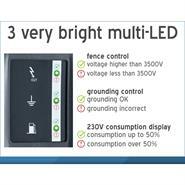 This is provided by two fence outputs with different power levels. The "NVi 9000" is notable for its high discharge energy with simultaneously low power consumption. This makes the powerful energiser from VOSS.farming a reliable partner in safety, but not only that: it is an ecologically friendly path to herd protection. The "NVi 9000" from VOSS.farming also scores points with its maintenance-friendly technology, assembled in modular construction. It is created for keeping goats, sheep, pigs, cattle, Highland cows, and horses. But this powerful device is also suitable for game protection areas and defence against wild boars. 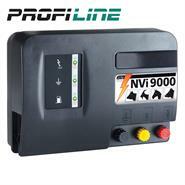 The VOSS.farming "NVi 9000" offers you powerful shocks, safety and German quality with excellent value for money. two separate fence systems can be connected at the same time.